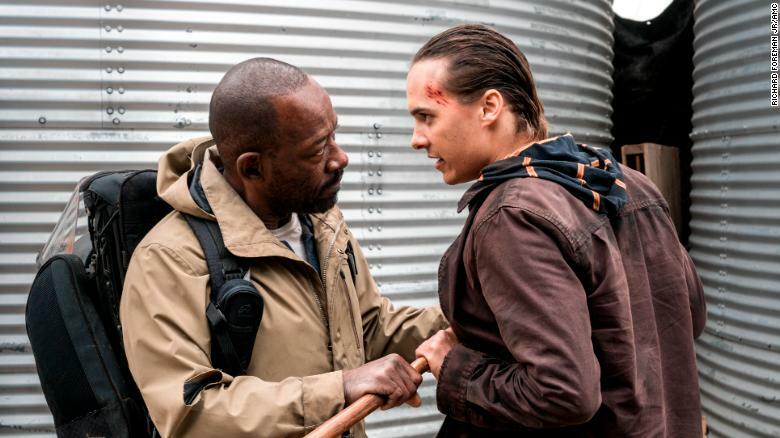 Fear The Walking Dead News: Will Morgan Return to Alexandria? 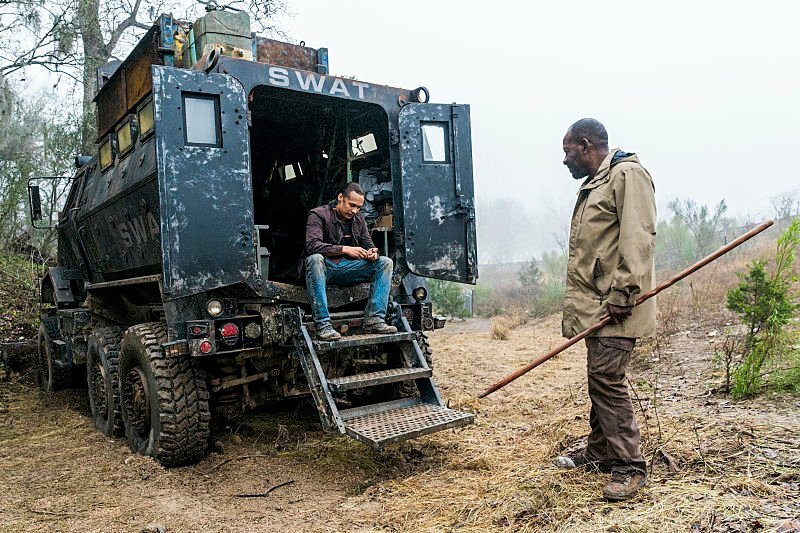 After having been visiting the different survivors of Fear The Walking Dead, Morgan decides that it is best to return with his original group of friends to provide the necessary help. At the request to be followed, only seems to agree Al (Maggie Grace), who agrees to take him there. But, will there finally be another ‘crossover’? “No [excludes more crosses] That’s all I have to say, it does not, but I would not wait for it all the time, things could happen, you never know who could appear in Fear The Walking Dead. The Walking Dead and potentially to people in the past of ‘Fear the Walking Dead “. However, an existing option is that the protagonists of The Walking Dead do march to Fear with the intention of following this plot in its corresponding timeline. However, it seems an unlikely option. The ninth season of The Walking Dead will arrive at AMC on October 7th. The showrunners of “Fear the Walking Dead” have finally revealed the fate of one of the main characters that we have not seen yet in season four. The speech is from Daniel Salazar (Rubén Blades), who has become a fan favorite since the first season. All who feared that he has blessed the time may now breathe a sigh of relief. What’s more, it looks like we’ll see more of Daniel in the future and explore a whole new environment. In an interview with “TV Line” and “Entertainment Weekly”, “Fear” showrunner Andrew Chambliss surprisingly hinted at another crossover moment. “Chances are good that he appears in the Walking Dead Universe?”, Chambliss elicit. “He’s alive and out there.” Only the details of Daniel’s survival need to be dispensed with for the time being. That might also be related to the 9th season “The Walking Dead”; Filming started on May 1, 2018. 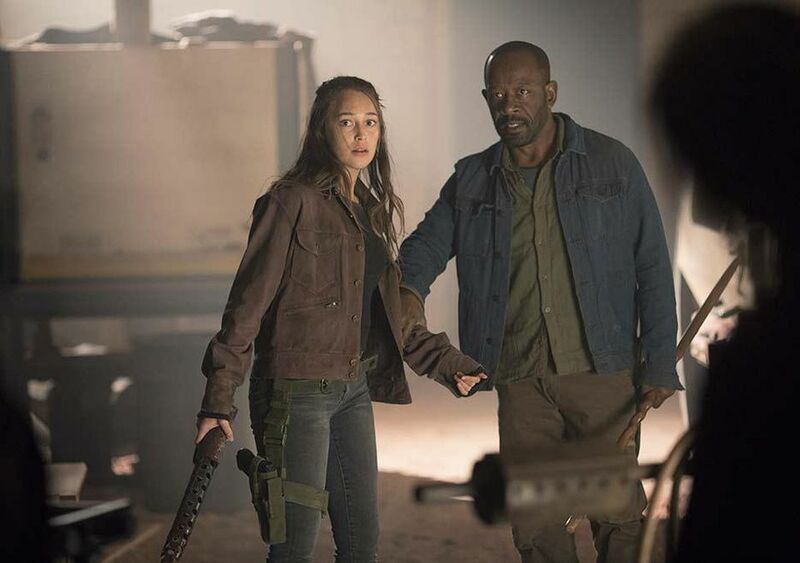 In the season eight finale, Morgan (Lennie James) left the successful zombie series to join the companion series “Fear the Walking Dead.” The place left by Morgan could soon be filled by Daniel Salazar. In any case, he would be an exciting addition to Rick’s group, who now seek a harmonious life after defeating Negan (Jeffrey Dean Morgan). Whether they succeed, is questionable. After all, there is not only Daniel, but also the next dangerous enemies. Three episodes into the newest season of Fear The Walking Dead and the new show runners pulled a major plot twist. Yes, they killed Nick Clark on yesterday’s episode “Good Out Here” as social media across all platforms exploded as everyone wanted to know why would they do this to the main character of the show. He has been the focal point of the show since the very first episode and he was the only character besides Madison and Walker that was very interesting for me to get behind. During the episode, Nick kills one of The Vultures while he was debating with Morgan. The Vulture that he killed is also the guardian of the young girl, Charlie, that we have seen on last week’s episode. Morgan has warned Nick beforehand about killing the guy and he did so and in retaliation, the girl shoots Nick at the stomach. He then fell down as the other characters watched in horror realizing that he has died. Although i will praise AMC for their unpredictably for doing this move, this makes me question why did they not have him killed off at the season 3 finale when the large dam exploded. Everyone was about to send their pitchforks towards Scott Gimple but that was not the case as he (Frank Dillane) requested to leave the show. Killing a very popular character right in the beginning of the season is a huge risk. Last season, Travis was killed off and he was starting to become a popular character. Will the rest of the season actually be saved after this major death, Time will tell and all of us will have to find out. The biggest problem is, the other characters are not fully developed yet and it will take more than Morgan to save the rest of the season.